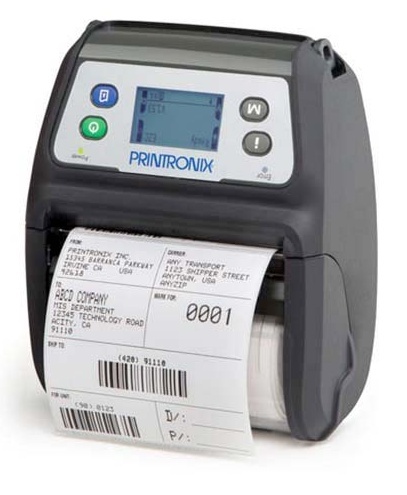 Printronix M4L2 Mobile 4.0" Wide Direct Thermal Printer BT. - M4L Bluetooth Model, 4.0" wide Label Portable Printer. All M4L models include: 7.2V Lithim Battery and Belt Clip. Printronix M4L2 Mobile 4.0" Wide Direct Thermal Printer WiFi - M4L WiFi 802.11 a/b/g/n, 4" Label Portable Printer. All M4L models include: 7.2V Lithim Battery and Belt Clip.